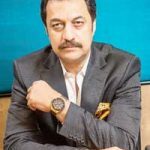 ZEE TV misses opportunity to grill Shankar Sharma on specific stocks …. “Aisa koi theme aap ko dikh raha hai jahan multibaggers ke opportunities ho?” Mihir Bhatt and Vivek Law of ZEE Business asked Shankar (@ 21.55). “Hahn, bahut hain, bahut hain … No doubt about it … Thoda mehnat lagta hai par bilkul milte hain shares … Is mein koi shak nahin hain mujhe .. There is no dearth of multibaggers in today’s market”, Shankar replied in his deep baritone. This would have been the opportune moment to pounce on Shankar and demand that he name a few stocks to make good his assertion that there is “no dearth” of multibaggers. Shankar, being in a defensive position, would have been forced to name the stocks that he is bullish on. Unfortunately, the distinguished interviewing panel did not take the cue and let the opportunity pass. Maybe they are constrained by internal rule and regulations to not talk of specific stocks. Thankfully, Ayesha Faridi, the charming editor of ET Now, does not let such opportunities pass. She had done her homework thoroughly. She had researched all of Shankar’s past views and grilled him in a relentless manner, leaving him no room to escape. “And that one pocket or that one stock which is going to be that pataka stock from this Diwali?,” Ayesha asked, locking Shankar in an eyeball-to-eyeball stare. “I have not bought it yet to be honest with you, once I buy then you will know,” he replied with a sheepish smile. Ayesha did not spare him. She skillfully got him to talk about the specific stocks that he is bullish on. Many economists are baffled as to why the stock markets are rallying even when there is a slowdown in the GDP growth. Shankar explained that there is not much co-relation between the two. He pointed out that stock markets are powered by the “cost of growth” i.e. interest rates. Interest rates are the hurdle rate at which one discounts growth. Even moderate earnings growth of 0% to 5%, when discounted with a lower cost of capital results in a higher NPV. “It is pure and simple cost of capital market. Which is why you have seen the stock market and the real economy diverge so significantly,” he added. Shankar made good his hypothesis by drawing attention to the fact that the big bull market started in 2009 even though the global economy had not grown for several years. “My view was do not even look for growth here, just look for a lowering of rates. We have gotten 150-200 bps cut over the last couple of years. I think you should hold out for more. So irrespective of growth or despite that, markets will be very good,” he added even as Ayesha nodded in agreement, impressed at Shankar’s razor sharp mind. Of course, it goes without saying that if the GDP does surge to 8% as expected by the experts, the sky is the limit for the stock markets. “The bull market in small-caps is still very, very young. In fact, it has just kind of started,” Shankar said. “They were still very good stocks and very good markets. Small-caps have to be bought, every single dip in small-caps is a buying opportunity and I will say this unequivocally,” he added. Big Bold Huge New Move Begins on the Sensex today! Rejoice! 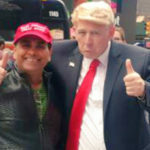 Shankar recommended Kiri Industries to us in June 2014 on the logic that it is “a niche chemicals player which is growing its business, paring down debt and owns a significant stake in Dystar, one of world’s largest Dyes Companies”. The recommendation has done well because Kiri Industries is up a fabulous 161% since then. The YoY return is itself 51%. Shankar opined that specialty chemicals are a “structural story for a long time to come” and are still good buys. Why buy a junk company like HFCL? Ayesha boldly asked Shankar why he had bought a so-called junk company like Himachal Futuristic, which has a dubious track record of corporate governance. Shankar provided a masterful explanation. Shankar opined that novices are making a mistake by looking at the past track record whilst completely ignoring the present. “I am not interested in looking at the past. I learn from the past for company or a sector but idea is to look forward and that is where you are going to make the money, not in the past,” he said. “HFCL had a terrific turnaround in the last 10 years and market ignored it for 10 years. When the company that takes turnover up 27 times in seven years, profit up 100 times and the stock price remains flat for seven-eight years, I like it,” he added with a flourish. Shankar explained further that the management of HFCL had atoned for their sins and paid the price and that it would not be fair to hold a grudge against them forever. “Every company has a problem. The question is has the management dealt with that problem, have they repaid the debt? They have cleaned up their balance sheet. The entire Jio thing has been done by them”. “If you stay in the past you will not buy a single stock in the world. You have to forget the past and that is true whether it is a JP or an HFCL or any number of companies that have been through trouble,” he advised. Shankar explained further that while in the first innings, one would never know who will be as successful as Sachin or Virat, one has a clearer idea in the second innings. The reason for this is because the managements realize in the second innings that they have to put their heads down and get to work in delivering good numbers and not indulge in nefarious activities. “I like a guy who has been through trouble because the second time around he will be careful not to repeat the troubles of the first innings. So all my companies are second innings companies,” Shankar said sagely even as Ayesha smiled in agreement. Unlike his peers, Shankar normally does not dole out investment gyaan to novices. However, he could not resist himself this time. “A closed mind is the biggest enemy of investment success,” he said with reference to the aversion of the public towards HFCL. “We are not concerned about a company’s past much. We tend to look ahead as to what is in store. You have to have an open mind. …. You really need to understand the management, as to how are they resolving problems. Excessive focus on the past blinds you to massive changes in the future. Investing is about bets on the future, not bets on the past,” he added with the air of an intellectual. GMO’s aggressive buy of HFCL endorses Shankar’s theory? Grantham Mayo Van Otterloo Emerging Markets Quality Fund (GMO Fund), a well known FII, has been aggressively buying the stock of HFCL. On 6th September 2017, GMO bought 110,81,468 shares at Rs. 23.92 each. On 7th September 2017, it bought another chunk of 87,49,147 shares at Rs. 28.13 each. Prima facie, GMO’s aggressive buy lends credence to Shankar’s theory that HFCL is on a “terrific turnaround” path. 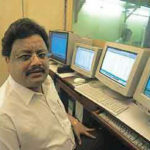 Shankar realized that his advice with regard to second innings’ stocks could be misunderstood by novices to mean that all troubled stocks should be bought. “It is just not that I like to have every single stock in my portfolio which is troubled, you know you have to buy something which gives you a bit of peace of mind also”, he hastily clarified. “Knowing what I know about the NPA situation, I am not a believer in the PSB space at all,” Shankar said in a firm tone. Of course, Shankar’s view was before the great bank recapitalization happened. Whether his view has changed since then will have to be ascertained. Shankar also rubbished Info Tech and Pharma stocks. “I don’t like IT and pharma. Even after being battered, time is still not right to pick them up,” he said in a defiant tone. However, he came out with all guns blazing in favour of metal stocks. “I am very bullish on metals … I like the steel basket and I like steel as a commodity. I like aluminum as a commodity. 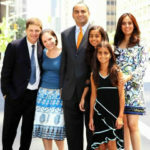 I like that entire commodity space,” he said. He also gave infra stocks a clean chit. In fact, he has recommended an infra stock at the Sohn India 2017 conference. Shankar’s theory that the bull market in small-cap stocks is just starting and that there is “no dearth of multibaggers” is like music to our ears. We have to roll up our sleeves and get to work and scoop out the multibaggers ASAP! 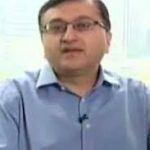 There is one stock which Shanker Sharma probably will never talk of up side ,it is RIL.RIL looks standing tall for future bull run.With Jio on front foot along with Rel Retail ,Petrochemical ,polyester and Refinery ,RIL has multiple engines firing with all cylinders on.Now RIL is main engine for Nifty going records highs. 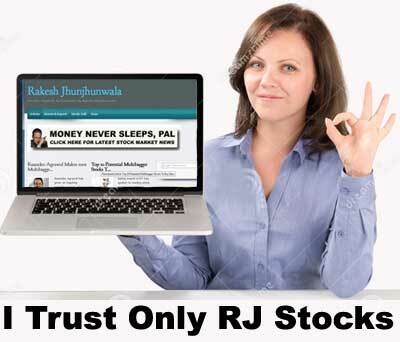 Only lazy people with no knowledge of stock market will invest in Reliance. Because by the time Reliance goes up by 2x, within that time other good stocks will give returns 5x to 10x times. One only needs to do some hard work, research and self confidence and not depend on others for spoonfeeding. Even if Reliance hives off Jio, or Retail business, you will not make much money, even if given free of cost. Dear Venky this forum is to discuss stocks,yes I do agree that many small cap stocks will become 5X and even 10 X by the time mega cap RIL will double ,but you must give those alternate ideas . As a rule I do not discuss individual stocks here. I think we can write about individual stocks here but the mod has specially kept a separate section called “stocks talk” in this website. No harm in writing about individual stocks as long as one gives good background about it. but my comments which are accurate are not allowed to be published and some people can write any nonsense and their comments are allowed. Frankly, I do not care that much but sometimes I can not resist. I guess its better I stay off. I think it is inappropriate on the part of RJ blog site admin to not publish worthy comments from Bholu as he is claiming that his comments are “accurate”. Any how, it is requested to Bholu to write to me on my email ‘kamalgarg279@gmail.com’ your worthy and accurate comments so that this matter can be fully understood and can be taken forward for wider public participation and public good and benefit.